My new teeth look fantastic, I can chew much better and they are much more comfortable than my own teeth were! Genetic inheritance: This is the most frequent cause of overbites, underbites, and the reason why teeth are sometimes crooked. The earlier than usual loss of adult or baby teeth. The uneven fit of dental restorations in the mouth. Gingivitis and pressure on the gums and teeth. Various oral health complications, like tongue thrusting and thumb sucking. Shape of the mouth and jaw: This is probably the main reason for crooked teeth. When the size of the mouth is small, the teeth become overcrowded and the jaw shifts so that all your teeth in your mouth fit. It is also possible that the lower and the upper jaws of the mouth are not exactly the same size or perhaps they have not formed in a correct manner as should happen. Timing: The early loss of adult teeth may result in making the remaining teeth crooked. Overcrowding of teeth can also occur when the baby teeth are replaced by permanent teeth. Teeth misalignment may occur when the adult's teeth shift and take over spots where the adult's teeth used to be but have fallen out. Trauma: Facial trauma or jaw injury may cause the teeth to move out of place. Your jaw could be misaligned due to an accident. 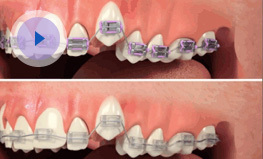 Traumas are usually the cause of most severe instances of crooked teeth. Whatever the reason may be, there is always a solution and at Dental fx we are here to help you find what is the best solution for you. 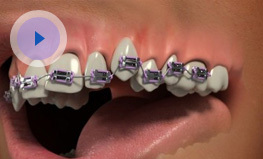 In many cases we will refer you to one of our specialist orthodontists who will examine you and advise what is the best way forward. If you have crooked teeth and are wanting to explore the various options then please do give us a call on 0141 931 5533 and we will arrange to see you and discuss your individual situation.